These are a very popular item. 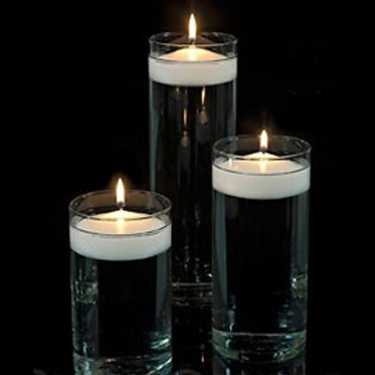 Simply, fill with water and live /artificial floral and add floating candles! Black polished rock is a great addition for a different look.